You love your partner dearly and you want them to be happy. When starting your journey off as man and wife (or soon to be if you’re engaged), it is imperative that you set a strong foundation. 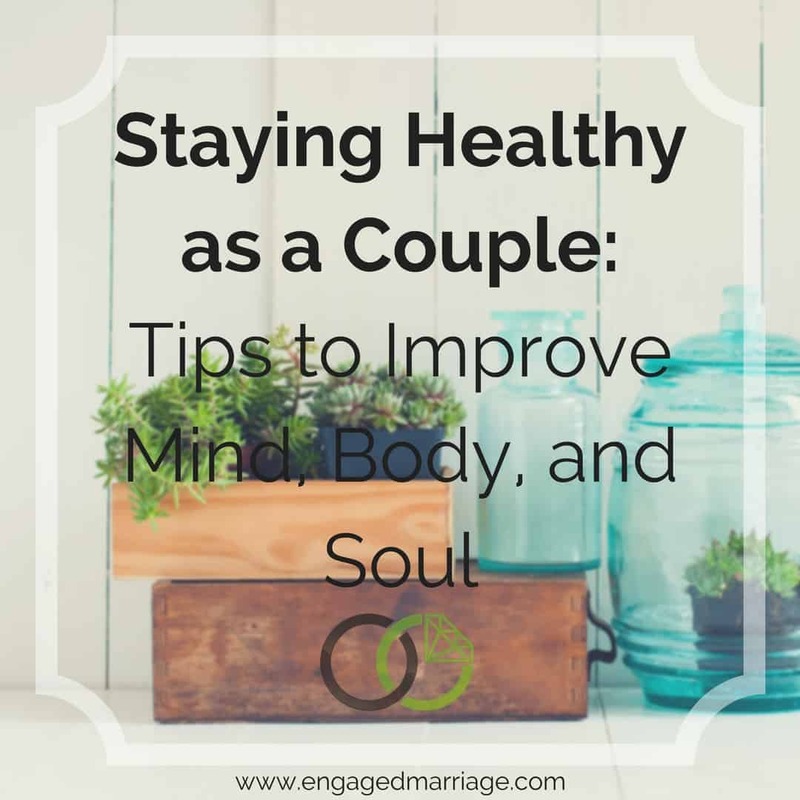 Though there are a lot of things that need to be molded into your foundation as a couple, ensuring that you’re both healthy in the mind, body, and soul should be a top priority. Going beyond the basics of diet and exercise, here are some ways to ensure the two of you will have a healthier and happier life together. When you talk about being healthy as a couple, diet and exercise are often the first concepts to pop into your head. You and your partner should come up with the best diet and exercise routines. Set up meal plans, consider detoxing to rid the body of toxins, create a workout schedule, and encourage each other to stick to it. Some would say that a tidy home equates to a clear mind and body. When your home is free of debris, tripping hazards, or other health hazards, you can breathe easy and focus on conquering life together as one. Though the home may be clean on the surface, you’d be surprised to learn how many things could be lurking that are a risk to your health. Start by removing all the clutter from your house. Anything you’re not using either sell it for cash, throw it away or place it in storage. Next, remove any harsh chemicals and toxins from the home. This might include harsh cleaners and soaps or vices like alcohol and cigarettes. Lastly, get rid of any unwanted pests. While a few ants may be seasonal, if you’re dealing with roaches, bed bugs, or mice that can carry disease, you’ll want to call in the pros. Look for a pest exterminator in Nashville like Moxie Services that specializes in removing these types of pests. Your emotional health as a couple will be just as important as your physical well-being. Reducing stress. Though some stress is required in life, too much of it can result in a decline in your health. Work together to come up with ways to relieve any undue stress you have in your lives. Whether this means separating yourself from toxic friendships, lightening your schedule, getting your finances in order, or learning how to resolve conflict in a positive way, it will provide peace of mind. Do things you enjoy. Life is filled with responsibilities and disappointments. To keep your mind, body, and soul happy, it is necessary for you two to engage in things you enjoy. You should find activities or hobbies that you can do separately and as a couple on occasion to break up the monotony in your relationship. Meditate, read, and study together. Whether you’re spiritual, religious, or none of the above, connecting with your partner on a deeper emotional level can improve your health and overall quality of life immensely. Try meditating or doing yoga together in the mornings. Read inspirational or empowering books and share opinions. Or attend mass or church on the weekends and study your religion as one. Each will help you feel more centered and able to handle the stresses life may throw at you. Every couple wants to look and feel their best as often as possible. To ensure that each of you is happy and healthy in the relationship, it is imperative to consider the advice listed above. Start with the basics of fitness and diet and then move on to deeper concepts like a clean home and a sound mind. As you cultivate this foundation together, you’ll find that it brings you closer together and improves your overall quality of life.